Criminals find that digital information and data could be the number one resource to help attain what they want. That’s why you have prevalent hackers working hard to obtain information from back door entrances of networks and IT. If there is no sufficient cyber or network security to monitor your digital data, all of your most sensitive information could be obtained and extorted for criminal activities. Never the less, if you have something to lose by having your IT and network breached, then I would suggest you investing and this goes for all businesses) into a company that provides prevailing cyber and IT network security. Identity theft has been a major issue when it comes to cybercrimes and implementation of cyber security. You more than likely have very important and ideal information about your identity saved in your network. If hackers can obtain valuable information about your identity, that can help them steal your identity via identity theft, it could hurdle you down a whirlwind of trouble. Committing acts of fraud with identity theft isn’t unheard of. Information that can be obtained to commit identity theft or fraud include your name, telephone number, license plate number, driver license details, address, birthday, and social security number. Having your personal information obtained doesn’t just aggregate identity theft, it could lead into even more inauspicious exploitations on a personal level. One of the most frequent data hackers try to obtain from networks with low security is financial information. Emails and personal documents saved in your network are filled with financial and account information which hackers can perhaps obtain to benefit themselves. This can cause serious harm to your assets and financial status, and it might not be noticed so quickly. The business world is a very competitive environment. If your IT isn’t secured, who knows what your competitors are doing, to maliciously gain data about you, or to hurt your company’s reputation. Your competition might have hacked into your system to find out crucial information about your company, such as your current employees information, or steal sensitive information about your personal life, business projects, and R&D. 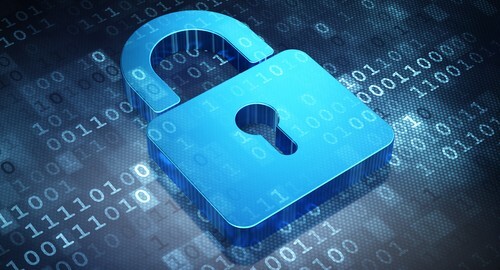 It’s safe to say that you need Network security in order to run a functional website and business. Staying up to date with the modern trends of cyber security will keep your network more secure. Understanding how to proactively monitor your computers can help you achieve good cyber security as well. A safer security network means that you won’t have to deal with fraudulent accounts based on your name or your clientele’s information. Nor do you have to worry about competition spying on you, or perhaps, even shutting down your whole network completely. Cyber and network security is a modern commodity for the modern world, and being prepared to handle those who are maliciously trying to impede their way into your life, will be the safe bet for your personal life, and your business as a whole.